5 Portraits of a Real Disciple (Luke 14:25-35) | Joe Quatrone, Jr.
Posted on April 14, 2015	by Pastor Joe Quatrone, Jr. The first image Jesus used was a family. Are you surprised Jesus said to be a disciple you must hate your family? I read about a pastor who entitled his sermon, “How to hate your wife.” You may be asking yourself, “Doesn’t Jesus talk elsewhere about loving everyone, including our enemies?” Yes, but the Greek word for “hate” means something totally different than our English word for “hate.” In Greek the word “hate” means to prefer above. Jesus often used figures of speech to give His words a greater impact. He used metaphors, similes, and parables. And here, He simply employed hyperbole. Hyperbole is an intentional exaggeration to emphasize a point. My wife uses hyperbole all the time when she says something like, “I’ve told you a million times to put the seat down.” I know it really isn’t a million times, so don’t get upset because Jesus used hyperbole. To be a real disciple, we must love Jesus more than we love anyone else–even family members. Our love for Jesus should be so powerful that in comparison, it seems as if we hate everyone else. It is also true that sometimes our love for Jesus will alienate us from others, even our family. If you truly follow the Lord, you won’t have to look for people to ridicule you and oppose you, they will find you–and they may be your family members. Jesus said, “All men will hate you because of Me, but he who stands firm to the end will be saved… Anyone who loves his father or mother more than Me is not worthy of Me; anyone who loves his son or daughter more than Me is not worthy of Me” (Matthew 10:22, 37). Friend, when God calls you, you will have to make some difficult decisions, and sometimes your family will not jump up and down and rejoice over your choices. That’s the first portrait of a real disciple. The second image Jesus used was a cross. A real disciple is someone who carries his cross. Many Christians are confused about what it means to carry a cross. I’ve had someone say to me, “I have migraine headaches, but I guess it’s just the cross I must bear.” Or I had someone take off his shoe one time and show me his ugly big toe. He said, “I have an in-grown toenail, but I guess it’s just the cross I must bear.” I always wanted to say, “Why don’t you have that nasty thing worked on by a doctor?” The cross is NOT a headache or an ingrown toenail. The true message of the cross is death. In Jesus’ time the cross was a horrible, agonizing, and tortuous mode of execution. It was the electric chair, lethal injection, and noose of His day. In the time of Jesus, when you saw someone carrying a cross, it meant only one thing–they were as good as dead. Jesus’ audience was well aware of what it meant to carry a cross. When the Romans led a criminal to his execution site, he was forced to carry the cross on which he would die. This showed his submission to Rome and warned observers they had better submit too. Jesus spoke this teaching to get the crowd thinking about their enthusiasm for Him. He encouraged those who were superficial either to go deeper or to turn back. Following Christ means total submission to Him–perhaps even to the point of death. Paul understood what it meant to carry a cross. Here are two dynamite verses from the book of Galatians: “I have been crucified with Christ and I no longer live, but Christ lives in me…” (Galatians 2:20) and “Those who belong to Christ Jesus have crucified the sinful nature with its passions and desires” (Galatians 5:24). That means there is nothing the world has to offer that interests you–it’s as if the world is dead to you and you are dead to the world. For a disciple carrying a cross, the world can’t offer a thing he wants. In many ways, a dead man is set free. You and I won’t be truly liberated until we understand what it is to be crucified with Christ. That’s the second portrait of a real disciple. The third image Jesus used was a tower. Jesus presented the image of a man who plans on building a tower. Before he begins the construction, he must “count the cost” to see if he has enough resources to finish the job. When a builder doesn’t count the cost or estimates it inaccurately, his building may be left half completed. Jesus is talking about the cost of commitment. Will your Christian life be only half built and then abandoned because you did not count the cost of total commitment to Jesus? What are those costs? Christians may face loss of social status or wealth. They may have to give up control over their money, their time, and their career. They may be hated, separated from their family, and even put to death. Following Christ does not mean a trouble-free life. We must carefully count the cost of becoming Christ’s disciples, so we will know what we are getting into and won’t be tempted later to turn back. Actually, it may be better to think in terms of the value instead of the cost. A good finish as a disciple is the key. A lot of backslidden Christians may go to heaven when they die, but they won’t be finishing well. Jesus spoke about the man “who was not able to finish” (v. 29). Jesus says everyone will look at the uncompleted project and ridicule the one who didn’t finish it. I’m haunted by those words–I don’t want to become a spiritual dropout. The older I get the more I realize there can never be any “coasting” in the Christian life. There is no such thing as spiritual retirement. The pages of the Bible are littered with great men and women who didn’t finish well. Noah and his family were saved from the flood, but poor Noah ended as a drunken man who got naked. Solomon was the wisest man in all of history, but he didn’t finish well–his many wives turned his heart away from God. Are you going to finish well? I know some folks who used to be faithful servants, real disciples, but they have dropped out. Oh, they still attend church sometimes and I suppose they’ll go to heaven when they die, but unless something changes they aren’t going to finish strong. The good news is none of us are finished yet. It doesn’t matter what has happened in the past, we can still finish well. The finish line is still ahead. Are you sitting down on the track? Are you going to barely drag yourself across the finish line? Or are you going to summon God’s strength, so you can sprint across the finish line? It doesn’t matter how well you start if you fail to finish. A real disciple finishes strong. In the fourth image Jesus used, He described two kings. One was outnumbered, so he wisely approached the stronger king and made peace before the battle ever began. You and I are one of the kings and God is the other. Guess which one we are? Because we can never win against God, we must surrender to Him. In Jesus’ time, a surrendering king could be made into a slave of the opposing king, so it required great humility to bow down and ask for terms of peace. It takes humility to surrender to Jesus. You cannot be a disciple unless you are willing to give up control of your life to Him. And that’s hard to do. None of us wants to give up. One of the reasons the book of Psalms speaks of lifting your hands in praise is because the lifting of hands has always been a gesture of surrender. Even today the police will say, “Put your hands up!” Have you surrendered to Jesus? I didn’t ask you if you were a Christian. For me, I have found I need to surrender to Jesus often. Maybe you need to do what I do. The fifth image Jesus used was salt. Salt was very valuable during Jesus’ time. Roman soldiers were paid with salt rations. The greatest value of salt was in its use as a preservative. Since they didn’t have any way to refrigerate meat, salt would be applied to fresh meat to prevent the meat from rotting. The salt created a chemical reaction that slowed down the process of decay and preserved the goodness of the meat. That’s why Jesus said in the Sermon on the Mount, “You are the salt of the earth. But if the salt loses its saltiness, how can it be made salty again?” (Matthew 5:13). The problem Jesus identified is that some people have lost their saltiness. We live in a nation suffering from moral decay at an alarming rate. Our society is getting more rotten by the day. Sadly, many believers live such impure lives that they have lost their sense of saltiness in a rotting world. When we allow impure thoughts and impure behavior to become mixed in our personality, we lose our saltiness. Many Christians blend into the world and avoid the cost of standing up for Christ. But Jesus said if Christians lose their distinctive saltiness, they become worthless. Just as salt flavors and preserves food, we are to preserve the good in the world. Being “salty” is not easy, but if we fail in this function, we fail to represent Christ to the world. How salty are you? 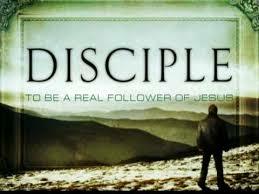 Are you a real disciple? Do you love Jesus more than anyone else, even your family? Are you a dead man walking, carrying your cross? Are you committed to finishing strong for Jesus? Are you constantly surrendering everything you have to Him? Are you willing to stay pure, so you can be salt in a rotting world? Jesus is looking for a few good men and women: the humble, the pure, the dead, the committed. Will you decide today to move from being a casual bystander in the crowd and make being a fully devoted follower of Jesus your goal? This entry was posted in Book of Luke and tagged Commitment, Cross, Death, Disciple, Jesus, Salt and Light, Servant, Submission, Surrender. Bookmark the permalink. Another excellent post to read by Joe Quatrone, Jr.
Noah did not get naked with his daughter. I am not sure how you came up with that. Did you confuse him with Lot and his two daughters? He also cursed Ham because he saw the nakedness of his drunken father, Noah, and mocked him before his brothers, something that is disgraceful in the eyes of God. The pages of the Bible are littered with great men and women who didn’t finish well. Noah and his family were saved from the flood, but poor Noah ended as a drunken man who got naked with his daughter and cursed his son. We always have to be careful to faithfully report what the Scriptures say. God bless us. Thanks Eliza. I will correct this. God bless.